Precision saltwater feeder . Perfect for bream flounder and mullet 12ft last one available. sale price. loaded to shoot heavy rigs at very long distance. while the rod is equally at home at sea side with closed end feeder packed with groundbait to tempt the bream bass and mullet . seat to also accept big size reels. 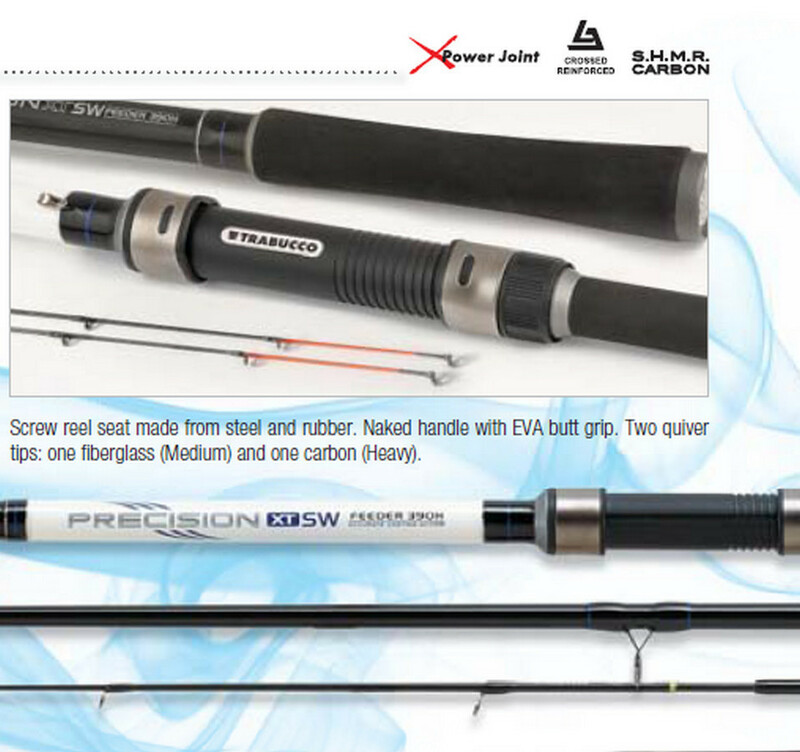 Two quiver tips are included: One nylon (Light, Medium) one carbon (Heavy).